Food policies have a tremendous impact on how food is produced, processed and distributed in Native communities. Often, these policies are determined at the federal and state levels. Today, more and more tribes are exercising their sovereign rights and establishing tribal food policies to meet the specific needs of their communities. Tribal food policies empower tribes to protect their food, land and natural resources from federal and state systems that attempt to claim jurisdiction over these assets. These policies are powerful tools that enable tribes to control, manage and regulate their food systems. 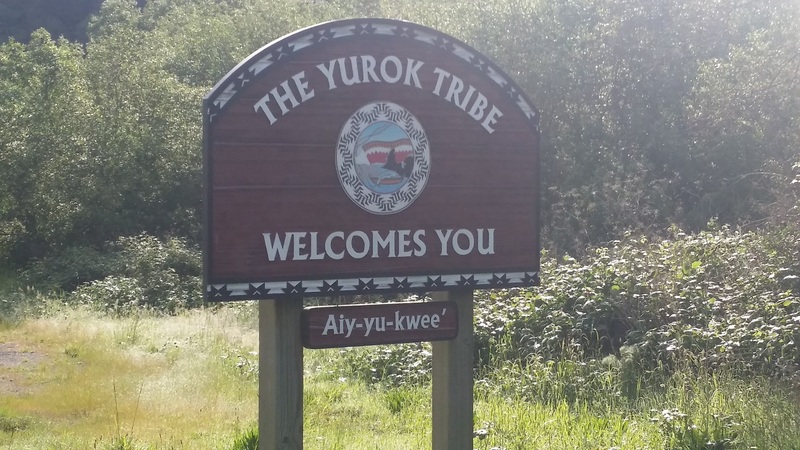 In 2015, the Yurok Tribe in California, the largest tribe in the state, established the Yurok Tribe Genetically Engineered Ordinance (GEO) as part of its tribal food policy. This first-of-its-kind tribal ordinance prohibits the growth of genetically modified crops and the release of genetically engineered salmon within the tribe’s territory. The Yurok remain one of the few tribes that have maintained its presence in its ancestral homelands in California. This presence is a great feat as California Indian history epitomizes the cruelties of American settlement in Indian territories. The Yurok Reservation is located approximately five hours north of San Francisco along iconic Highway 101. 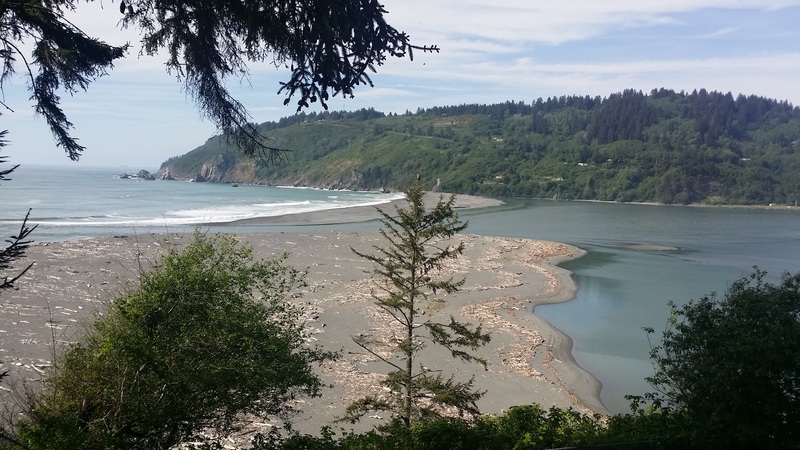 This scenic drive parallels the Klamath River and consists of old-growth redwood trees (some 1,000 to 2,000 or more years old), breathtaking coastal views, and fresh inland waters that are home to both the Yurok people and one of the most iconic fish in the world: the Pacific Salmon. 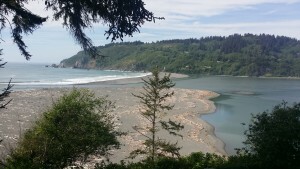 The Yurok people and the Pacific Salmon model an existence that resembles the fury of the Klamath River itself. Every year, the salmon return to the river, their natural breeding grounds, despite the increasing environmental odds that threaten their demise. Along this river, a new battle was brewing. Over the last few decades, the Yurok have tirelessly fought for the survival of the salmon, advocating for dam removal on the mighty Klamath River to feed other rivers. The tribe’s – and others’ – efforts were successful in advocating dam removal. The dams on the Klamath are slated for removal by 2020. (See http://www.times-stan-dard.com/article/NJ/20160406/NEWS/160409926). On December 10, 2015, the Yurok Tribe passed tribal legislation banning genetically engineered (GE) salmon and plants, essentially making it the first tribal food and agricultural code in the country. Stephanie Dolan, one of the primary authors of the Yurok Tribe GEO, says: “The main goals in creating this code are to prohibit GE salmon from crossing into Yurok county, prohibit GE crops from being planted, grown or harvested in Yurok Country, create an advisory committee to look at reducing pesticide use on the reservation (which impacts all of the plants, animals and health of the Yurok people) and to encourage other tribal communities to exercise their jurisdiction.” Cheyenne Sanders from the Yurok Tribe Office of Tribal Attorney also assisted in drafting the GEO. This code has been inspired, in part, by other food policy movements across the country at both the local and state levels. However, it is important to note that tribal communities maintain a unique government-to-government relationship with the United States that recognizes the need and responsibility of tribal nations to govern their own territories, communities and people that lends force to this type of legislation. It is important for tribes to be proactive in defining their jurisdiction over precious resources such as food and land so that they continue to pass these resources down to future generations. Abby Abinanti, the Chief Judge of the Yurok Tribal Court – and the first Native American woman admitted to the State Bar of California in 1974 – is responsible for enforcing this code in Yurok Territory. Abinanti firmly maintains: “It is only natural that the Yurok Tribal Court can enforce the Yurok ordinance. 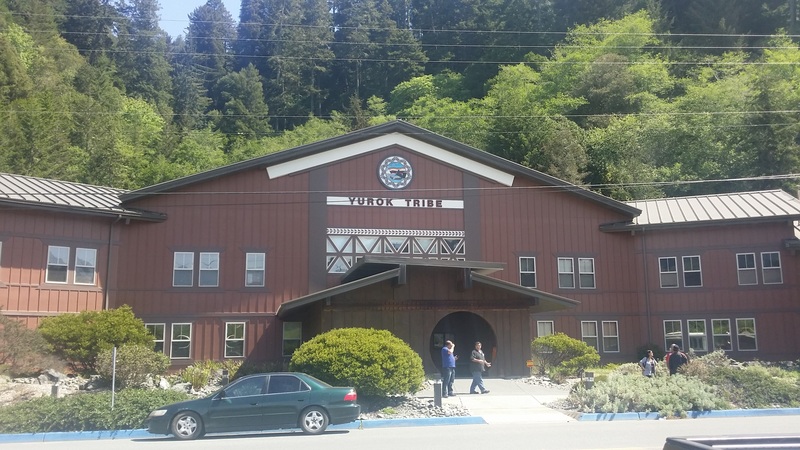 The Yurok Tribal Court is meant to serve the people, and salmon has always been a part of that.” Abinanti’s courtroom is based on the tenants of traditional Yurok justice and seeks to enforce Yurok community standards. Abinanti and the Yurok have made it clear they will protect the Yurok lifestyle and the traditional salmon that are central to it. The Yurok are trailblazers for asserting these sovereign powers. They have made history in several important Indian law cases such as U.S. v. Kagama; Lyng v. Northwest Indian Cemetery Association; Jessie Short vs. U.S.; and the unforgettable fish wars when tribal fisherman occupied the mouth of the Klamath River to assert their right to fish for salmon. In many respects, the passage of the GE salmon ban in Yurok territory is an extension of occupation that occurred in Yurok Territory more than 40 years ago. 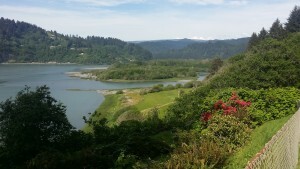 Today, the Yurok Tribe continues to assist other California tribes – including the Karuk Tribe, Tolowa-Dee-ni’ Nation, Hoopa Valley Tribe and Bear River Band of Rohnerville Rancheria – in their efforts to pass similar tribal food policies and ordinances in their communities. These five tribes are a part of the Northern California Tribal Court Coalition (NCTCC), a group of tribal courts that encourage other tribes to take steps to enact similar laws to protect their lands and peoples. To see more information about NCTCC’s other Rights of Mother Earth initiatives, including the recent Tribal Food Sovereignty Gathering, visit the website at http://www.nctcc.org/. The Yurok Tribe is advocating for dam removal so that salmon can reach more than 250 miles of historic spawning habitat, among other reasons. Additionally, removing the dams will alleviate major water-quality issues, including unnaturally high water temperatures, massive toxic algal blooms and high populations of deadly fish parasites. This entry was posted in Uncategorized and tagged A-dae Romero-Briones, Abby Abinanti, Adae, Bear River Band, California, Cheyenne Sanders, dam removal, First Nations Development Institute, food policies, genetic ordinance, genetically engineered, GEO, Hoopa Valley, Karuk, Klamath River, natural resources, NCTCC, Northern California Tribal Court Coalition, Pacific, salmon, San Francisco, Sarah Hernandez, Stephanie Dolan, Tolowa-Dee-ni, Yurok Tribal Court, Yurok Tribe by rblauvelt. Bookmark the permalink. We will not see the beauty and fruition of that good advise until such time as the BLM, BIA, and a dozen other federal bureaucracies lay in a bottomless pit. Until that time, it is THEY who define jurisdiction over any particular issue — food, land and life. In a vast unrestrained network THEY, the bureaucrats create untold harm on tribal people and other citizens. This is a wonderful story of people taking control over their own lives — determining the quality of life for their chidren’s children, children. Truly Inspring! And I just read this now, after reading an AOL article about preventing cancer. Among a list of cancer-causing foods, genetically modified food was on that list. GOD bless you and yours, and keep moving forward.